L'OCCITANE HAND CREAM || REVIEW | RAWR BOWS. Hello people! So, today I have another beauty review for you all today. It’s something that was featured in my ‘what’s in my school bag’ post. 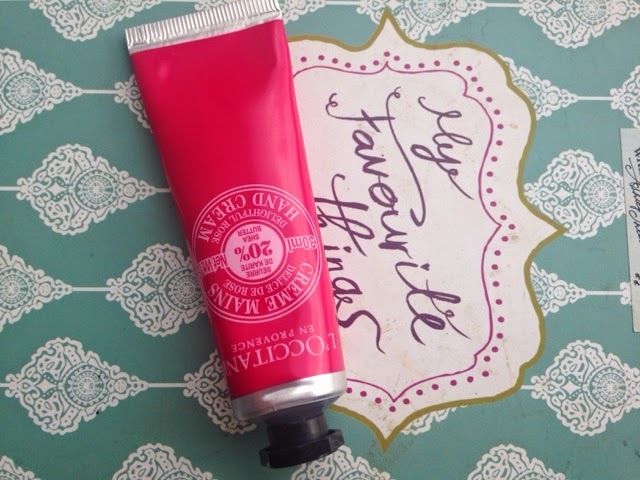 It’s L’Occitane’s Delightful Rose Hand Cream. I never used hand cream until I came to London, when my hands suddenly became all dry and would start to peel off very easily. I got this hand cream when I bought a magazine a few weeks ago (I think it was the november issue of Maire Claire so it might still be on sale if you are interested). I’m sure if you go to L’Occitane you can buy the same hand cream too but if I’m not mistaken it’s around £8 per tube whilst the magazine is only £4 so… you do the maths. First of all, let me briefly mention how cute the packaging is… okay, I sweat I’m not gonna say anything else about the pretty packaging. The cream itself is very thick which is good because I feel like all the hand creams that ever work have a thick consistency. I have really noticed a change, my hands are not dry anymore and they don’t peel off. Instead, they feel smooth and moisturised. The skin absorbs it very quickly and easily making it perfect to apply when you are on the go or doing things as your hands don’t fell wet or sticky afterwards. Also, it has a very nice and subtle smell of roses which I swear makes me smile and instantly happy. I really like this hand cream which is weird because I hand most creams… so I really really like this one. Do you use hand cream in the winter?